I was able to get two rides in on my birthday yesterday. The first was the usual 5:45 ride. It was a chilly 58°F at the start. It seemed pretty fast to me, but I was still dragging at the end. 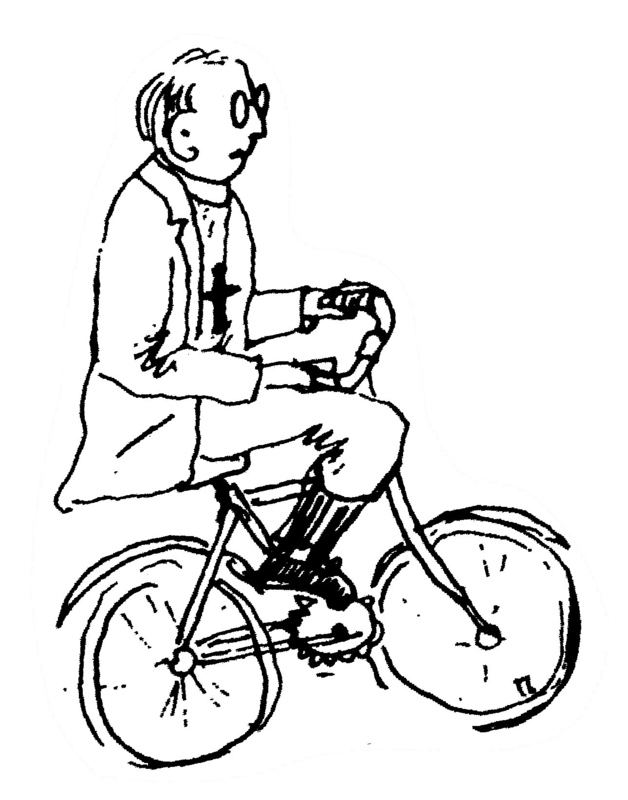 I didn’t continue on, knowing that I was riding the evening Pizza ride later in the day. Lori gave me the go ahead to get my old late-70s Viscount bike converted into a “fixie”, so I took that in to the Bike Doctor for the conversion. It should be ready in a little over a week. Mid-day, we had an earthquake. It was pretty significant. It rattled the whole East Coast of the U.S. Of course, that became the topic of conversation for much of the Pizza Ride. We had a dozen riders for the Pizza Ride. It was a moderate pace, and pretty enjoyable. Carl had a flat, but changed that out pretty quickly. 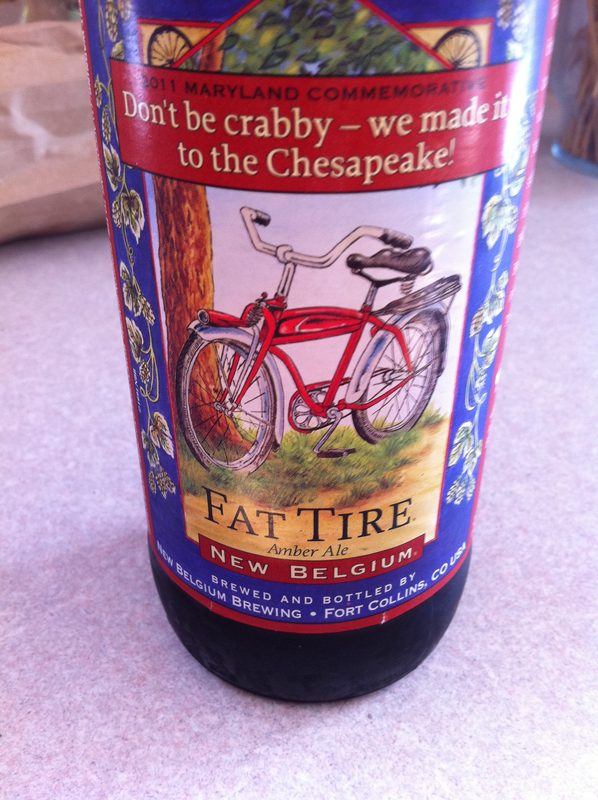 At the end of the ride, several spouses joined us, and we tried out the new to Maryland “Fat Tire” from New Belgium Brewing Company. This morning’s ride started out about 2 degrees warmer than yesterday morning, and was quite pleasant. Mike C, Mike B, and I rode the 5:46 ride, a little easier pace letting the faster riders (about 5 of them) go. At the end of the ride, I continued on around the airport. 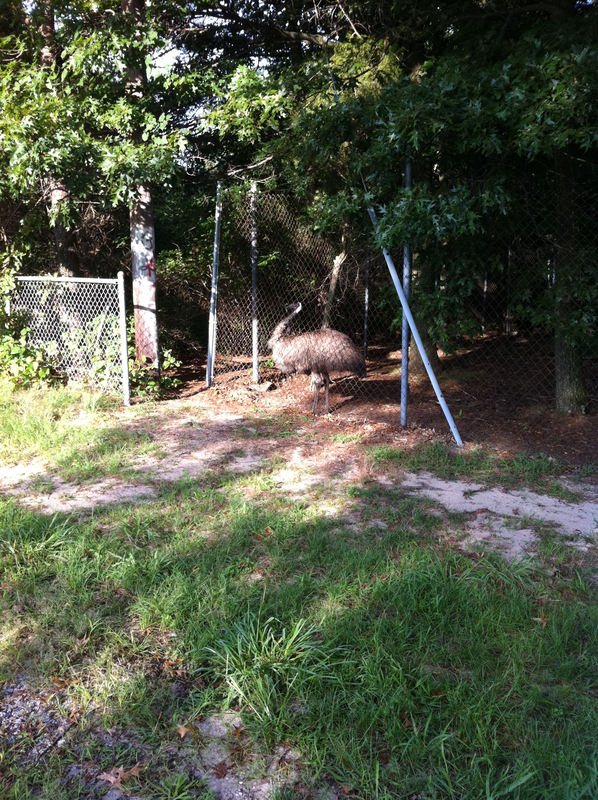 Near the airport, I encountered an emu that I’d never seen there before … and never heard anyone else describe either. I took it easy today, and am glad I did. I have quite a few tasks to do at home and so I’ll be busy today. These were a couple of the most pleasant days to ride all summer thus far.